IIT Delhi MBA Placements and Admissions Criteria in 2019 #Infographic ~ Visualistan '+g+"
The first question that comes to mind when looking for a suitable MBA program is the return on investment that you will enjoy. 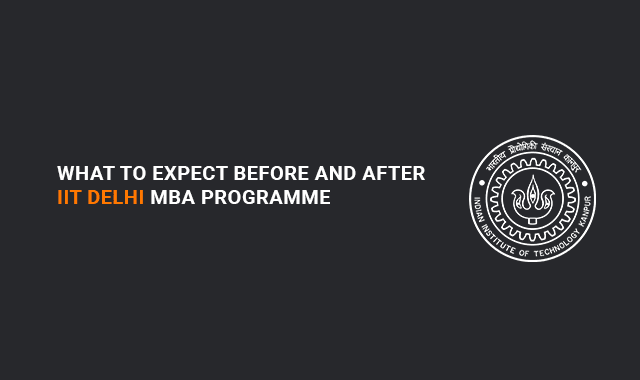 We've prepared an infographics, which summarizes the benefits of applying to the IIT MBA Delhi. IIT MBA Delhi offers business professionals with the opportunity to advance their careers. It is the place to be for those who want to move to management roles or change their industries. The program also nurtures entrepreneurs who are either starting their businesses or need help in managing a company that exists. An IIT MBA will help you improve your ability to think strategically and train you on how to apply the knowledge and skills you gain. Students can receive multiple offers on completion of the program from top global companies. Thus, giving you a chance to expand your horizon. Besides, you will have the chance to get superior hands-on experience in a speciality of your choice, as the program boasts of a 100% placement rate of their 2016-18 batch. Concerning domain-wise placement, Sales and Marketing takes the first position, followed closely by IT and Consulting, at 30 and 29%, successively. With the numbers to back up their claim you can confidently start working on your IIT MBA Delhi Statement of Purpose!